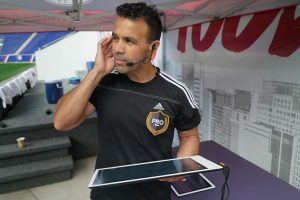 The Professional Soccer Referees Association (PSRA) is initiating a RESPECT campaign. Our members are wearing RESPECT buttons on their uniforms in response to recent incidents and the grave mishandling of those by Major League Soccer (MLS) and the Professional Referee Organization (PRO). In week 11 of the MLS season, a player intentionally bumped the referee while blasting foul language. The match report describes the referee assault in detail. The PSRA condemns MLS and PRO for the willful disregard of a USSF policy meant to stop referee assault and abuse. 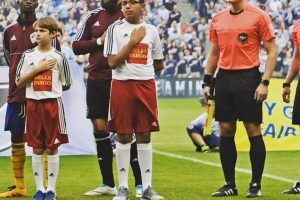 Two weeks ago, the President of an MLS Team’s Supporters’ Group posted the personal information of a MLS referee on social media in a manner meant to incite harassment of that official. Later, the official account of the Supporters’ Group retweeted the information. According to reports, two days later, the club contacted the President of the Supporters’ Group who posted the original tweet. The original tweet was removed, the club took no further action, and furthermore, the club stated that MLS was taking no further action. To date, MLS and PRO have neither condemned this behavior nor taken any notable action. That such a blatant act has neither been punished nor even acknowledged by MLS and PRO is unacceptable. 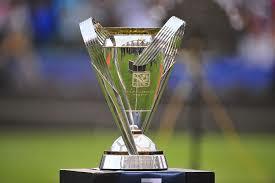 MLS and PRO have set a disgraceful standard via the tolerance of this act. In leagues around the world, referee abuse such as this would result in a stadium ban. In week 14 of the MLS season, a player was sent off for Serious Foul Play. 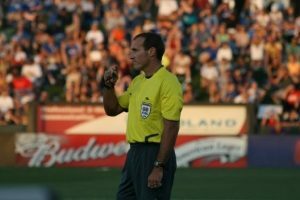 After congratulating the referee crew for the correct call, PRO, in their role on the Independent Review Panel, voted to rescind the red card that was issued on the field. At subsequent Referee and Assistant Referee training camps, PRO has instructed this play was a correct send off and that players who make this type of tackle in the future should be sent off. Specific details surrounding this incident are in a previous release from June 9th. The PSRA condemns PRO for not standing by its word and its employees. The PSRA shares the belief that referees everywhere deserve respect for their tireless contribution to the world’s game. A higher standard of behavior must be exemplified by all who love the beautiful game. The PSRA wishes to convey a message of solidarity to all referees and emphasize their integral and respected role in soccer. Referee abuse in all its forms will not be tolerated. 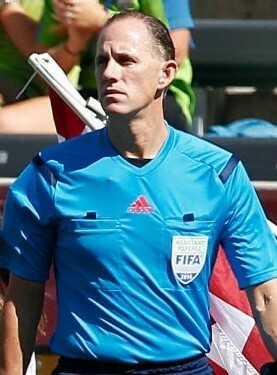 The Professional Soccer Referees Association (PSRA) is the certified labor union representing Officials employed by PRO, and is an independent fraternal association of referees licensed to officiate the game of soccer by the Canadian Soccer Association (CSA) or the United States Soccer Federation (USSF). 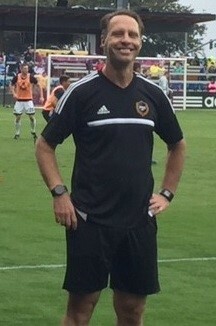 PSRA officials referee matches in Major League Soccer (MLS), and other professional soccer leagues within Canada and the United States.